To file a complaint by phone call 1-800-331-0085 from 8am to 5:30pm Central, Monday-Friday. Other than by phone, Walmart has a corporate feedback form on their website which can be used to submit feeback. They also have a Facebook fan page and a company Twitter account which can also be used to share your problems with the company. 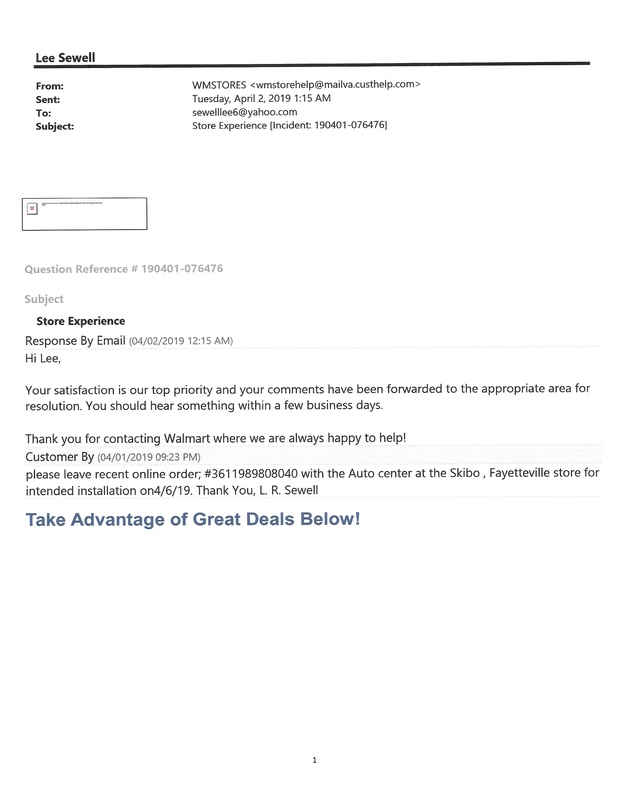 The best email address is feedback@walmart.com but we have not heard a response back yet. If you do want to write a letter to the Walmart CEO Doug McMillon, email him at doug.mcmillon@wal-mart.com or write the corporate headquarters at 702 Sw 8th Street, Bentonville Arkansas, 72716. Walmart.com is a mega chain retailer that carries consumer goods from food, tires, and pharmacy drugs. With over 11,000 locations and 2.2 million employees Walmart.com is publicly traded on the NYSE: WMT. The original Walton’s store was first opened in Roger, Arkansas by Sam Walton in 1962. It is still a family owned business as the Walton family owns over 50% of the corporation.The Walmart slogan is: Save Money. Live Better. Walmart is the largest worldwide employer and the world’s largest company by revenues. My husband returned a product. Cashier did a convoluted transaction so he did not realize that not only was the money not refunded, he was overcharged for the product that he purchased in return. I called the Epping NH store to complain and spoke with the assistant manager John. He felt it was reasonable to ask me to drive back the 90 miles roundtrip to get my refund. I offered to scan and email him the receipts but I was told I could only get refunded if I went back to that store. I called headquarters and spoke with Brenen employee#1252106 who insisted he was a manager, but when I questioned if managers worked weekends he eventually admitted he was a supervisor and not a manager. He also stated that headquarters could not issue me a refund, send me a gift card or do anything to help. He said I had to drive the 90 miles. I asked if he would be willing to do that to correct a Walmart associate error and he said that his opinion did not matter. He refused to answer the question. Please be very wary when shopping Walmart as their customer service is pitiful. Too bad you don't have negative starts because 1 star is being way too generous. I waited 25 minutes for a consult on a prescription. The pharmacist's only excuse was "I forgot you were here". I have sent three e-mails to your fraud department because two 50.00 gift cards purchased with cash for my husband's and daughter's birthdays were maxed out a week before they received them. I went to the store where they were purchased and was told nothing could be done for me at the store level. The phone number I was given had no options for human contact. I finally managed to reach a Customer Service representative who gave me information for contacting the fraud unit. As of today, I haven't heard from them, even though the e-mail said it would take three days. It has been over a month since my first local contact and I am extremely disappointed that WalMart doesn't seem to care about me or my situation. I have contacted Walmart more than seven times to facilitate my "unsubscribe" ( any and all Walmart advertizing messages sent to me ) request and I have received no response. I and my family and friends will never shop Walmart until this problem is resolved. Every time I go into this store there are no sani-wipes for cleaning cart handle. Often items needed are not available due to failure to restock. Then after all this frustration there are only 2-3 checkouts open with 4-6 people in each line and everyone is angry and complaining. You want my money but fail to provide reasonable service. Thank god for Target! Very disappointed long time customer. My name is Fred Mallaire. On Saturday April 13th, 2019, I purchased what I thought was a Mariokart7 2DS game system with a box having serial number AW11472120 from the Walmart store # 2113 at 1607 W. Bethany Home Rd., Phoenix, Az. 85015. On Sunday 04/14/19 my granddaughter opened the package for her birthday to find in lieu of the 2DS system a wire cutters wrapped in a Los Angeles times newspaper. That same evening we immediately went to Walmart with the defective purchase. We spoke to an assistant manager with the name Margan or Margarita. She went back and reviewed the film and said that from when the box was received by Walmart to my purchase they could see that no one had tempered with it. So my wife and I knew we had been a victim of fraud and we decided not to purchase another 2DS for our Granddaughter at Walmart. My wife and I went over to the Target store in the same mall complex. 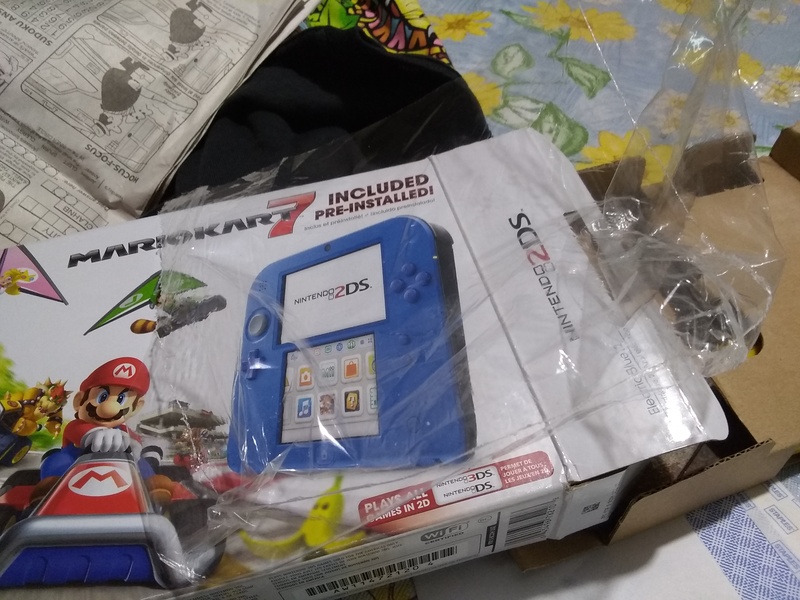 And we notice that the 2DS system boxes, there, are not sealed in a plastic wrap. The sales employee at the target said these units never come with their boxes wrapped in plastic. We explained what happened at WalMART. The Target employee said I would go back and see if the other boxes were wrapped in plastic at that Walmart for the boxes do not come like that, for I used to be a manager at game stop and I know how they are sent from the distribution Center and as you can see here at Target they are not wrapped in plastic. I said did it come from the factory this way? He said no, and added that the stealing of the 2DS had TO HAPPEN at the distribution center and perhaps Los Angeles, since the La paper was in the box with the wire cutters. My wife and I went back to Walmart and noticed that none of the other boxes were wrapped in plastic. My wife asked the assistant manager, If she would please look on the video again to see if the box that she watched on film earlier from delivery acceptance at that Walmart to my purchase of it on 04/13/19 was wrapped in plastic and then seeing it wrapped in plastic as it should not be would confirm that it was received in a tampered condition. The Assistant manager said sorry I can’t help you. We walked away with the understanding that Target in lieu of Walmart cares about customers. We know that we received a sealed box from the Walmart locked cabinet that did not have the actual game system inside. We purchased in good faith and if the manager would have just checked the film then they would have seen that it was wrapped in plastic unlike all the other system boxes in the locked cabinet. We would appreciate if you would please make this right. I have attached pictures of box, plastic wrap that box was wrapped in, wire cutters in lieu of game system that box contained and receipt. We recently visited your Walmart in Douglas Arizona and to be honest I was most displease. The store its self was nasty and unkempt. I've never seen one of your stores in such condition and was really surprise. On top of all that they seemed really racist. I took pictures for you but can't figure out where to send them.By the way, they have a leak under the water fountain that could cause someone to get hurt. I reported it and a month later it was still leaking.. I placed an order for a sheet cake that feeds about a hundred people. Told the lady what I wanted on the cake and told her the colors but when I went back to pick the cake up I was in total shock. The appearance of the cake was unprofessional and not up to par with what I know Walmart usually produce. I was not satisfied at all I have attached pictures for your viewing. Please let me know what you think? My father and I went to purchase a battery for my Harley Davidson at the Wal-Mart off of Hulen St. after making my purchase we were approached at the exit by an officer and two people employed by Wal-Mart acting as a part of the loss prevention team. I was asked if I had put anything into my pockets that did not belong to me. I and my dad replied no. we were asked to accompany them to the security room or what ever it may have been called. mind you this was after I had already checked out and made my purchase as a paying customer. upon our arrival at the security room,we were asked to empty our pockets. they even took the liberty of searching and violating my dad's personal space. my question is what was it is that I or my dad had taken that I could not have purchased at the checkout, and what relevant excuse the officer had to suspect a paying customer would be shoplifting. 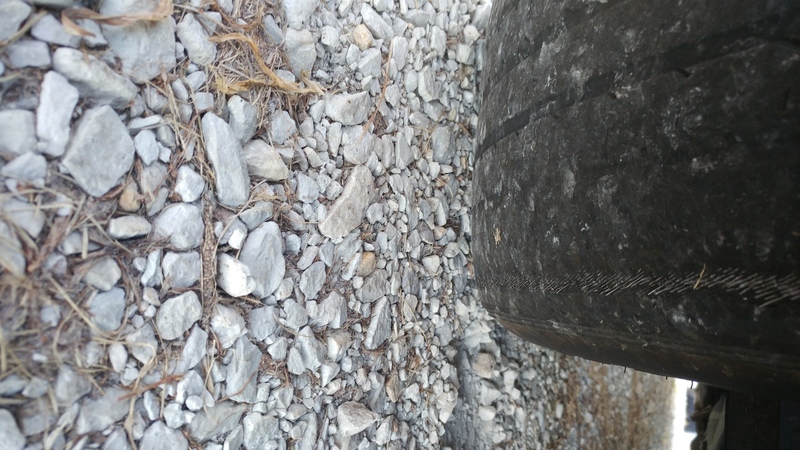 I got 2 tires. Paying about $200. I bought them on may 8 2016 and by August 3 2016 they were bald and wires are poking out everywhere. When I called wit my concern I was told a manager would call back. Waited an hour no call. I called back talked to a manager then requested to talk to someone else. And I was put on hold for 20 min. Called back and was told phone lines weren't working. Don't believe that. Then when I talked to the co manager he put me on hold then had someone else pick up and give me the answer I was waiting on. The lady said the manager had to go somewhere. I find it extremely unprofessional to just decide ur done helping a customer. I told the lady that I wasn't done talking to him and she said she cud call him back. So my bad tires that didn't even last 3 months are still on my car because Wal-Mart doesn't want to replace them. 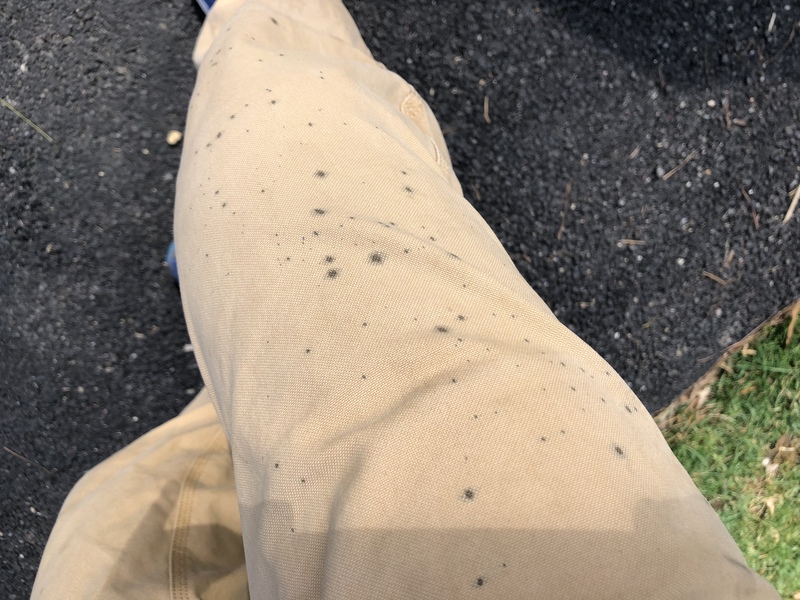 I will never get tires from Wal-Mart again and I will tell others what happened to me so that they will think twice about purchasing tires from Wal-Mart. I have a Walmart credit card. 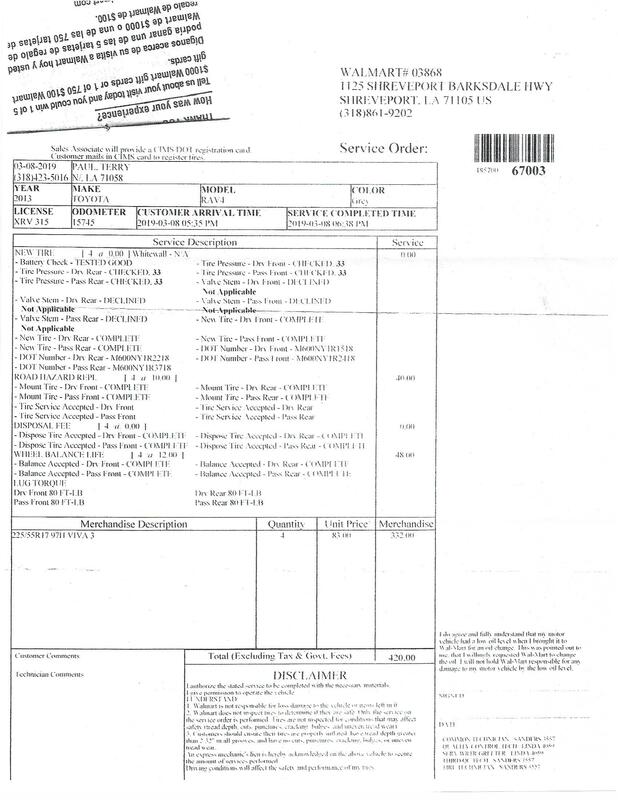 I made a substantial payment (paid in full) on August 4 2011. I went shopping on August 11 2011 and my card was declined while I was in line. I had to get out of line, go to customer service and call the number on the back of the card. I did so, and the lady that was on the other line told me that there was a hold on my card that it would not clear until tomorrow and that there was nothing that she could do. I had to pay for my now defrosting groceries with the remaining balance of the card and the rest with my debit card (which was to pay bills). So, I go home and call 1800 walmart to make a complaint, they told me that I had to call 1-866-611-0048 and ask for a supervisor. So this is what I did. When I was transferred to a supervisor, I tried to explain to him that I made the payment, that it has cleared my bank but it is money that I am unable to use. He then told me that the funds will be available tomorrow. This is not helping me today when I needed the groceries, and the fact that I won’t be able to shop tomorrow as I have a job and have to go to work. So, my complaint is that I can make a substantial payment (over $500), and Walmart can hold it for over a week so that I can not use it, but when I am late on a payment they are so fast to charge me a late fee. Can I charge them a fee for making me wait? I had to call and make arrangements with my electric company so that I can pay for the groceries today that I should have been able to use the card for. Its not like I can use the Walmart card tomorrow to pay my electric bill, now can I? Where is the convenience of having a card if I can not use it? Why would I even use it if it is not even worth my time and effort? I pay my bill on time and pay it in full so that I dont get charged fees and I am still getting treated like crap!!! On November 24, 2015 my wife four month old son and I went to Walmart in Warrenton, Mo. I recently had back surgery, so I have to use an electric cart. We were going through the store looking for Christmas items for our kids. We had been there for about twenty minutes. My wife and I were in the back of the store and the battery for the cart went dead. I saw a manager so I talked to her and let her know about my situation. The manager did not acknowledge anything that I had told her, That being said having back surgery my doctor does not want me walking for long distances. The manager I talked to did not have anyone go and get another cart instead I was forced to walk to the front of the store in a lot of pain. I had to use a regular cart as a walker. This is ridiculous I was under the impression that managers were supposed to be helpful and courteous to there customers in this case apparently not. I don't know what I did to deserve this, all I know is something needs to be done. I took the risk of falling an would have ended up in a lawsuit which is not something i want to do. The reason I am complaining is that nobody should be treated like this, if the manager would not have walked away so fast I would have her name but i don't. Thank you for your time and hopefully the Walmart corporate office will respond. This seems to be a constant that there is only one or at most two lanes open around midnight. Sometimes before that. There are long lines and the store does nothing about it. I guess hiring one or two more, or even train those stocking to run a register would be asking too much. Very disappointed about finding help during the day as well. 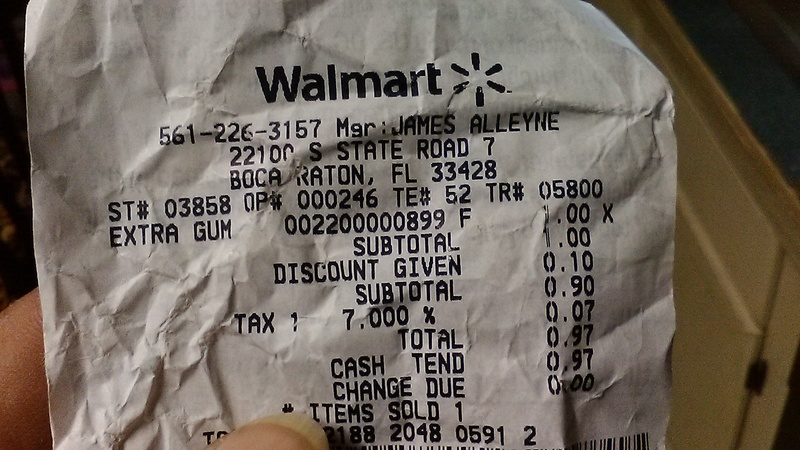 I wont stop shopping yet at walmart but I will reduce my spending , even if I pay a little more for the items. Kroger is building a huge complex a stone throw away - and I cant wait. This isn't just a first complaint it has been going on for some time and I guess I'm getting tired of the company falling behind more and more in customer service and customer care. 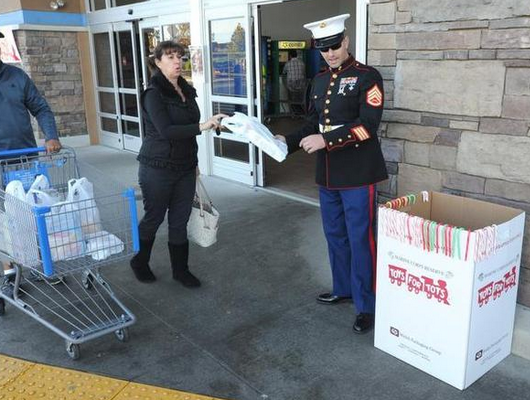 I read on Facebook where your Medina Stores manager, Janet, was not allowing the Marine For Toys for Tots to stand inside the store. If you want anti-military and insensitive individuals to manage your stores then YOU do not need the military personnel to shop in your stores. I am taking back my Walmart purchases of this past Friday and will not be purchasing from any of your stores in the future. Tell Janet she does not deserve to enjoy the freedoms the military have given her and hers. Next, I will write a letter to the Walmart corporate office in Bentonville, Arkansas and see what the CEO says. I'm an electrician, and we do new walmarts, and remodels. Today I was in Salem Illinois and the manager called the cops on us for trying to work. Said she had no information about the work. So basically the cops came and harassed my boss, and when I came, only black guy in this town, he asked for my id. And questioned my car, for some reason. Walmart has to do better. I won't EVER spend another dollar at the Walmart in Dublin, GA...I found a ladies pocket book in an empty cart in the cart return in the parking lot. I took it inside after asking 2 ladies that i saw walking away from the area, who said that it wasn't theirs. I stopped an emplyee walking by asked if she could take the purse, that I had found in the parking lot, she tried to give to 3 other employees, none of which seemed to want to be bothered with having to take it. I was a little worried by now that no one would even try to notify the owner.. So i decided to look and see who the owner was, maybe I could let her know that her pocket book was safe. Then the 1st cashier that declined to accept the pocket book, Shouts "Don't let that man go through that woman's purse! ", insuating that I was up to no good! Then the first employee that I stopped snatched it out of my hands and took it behind the counter. If I was gonna do something wrong, I wouldn't walk back into the store, garner a bunch of attention then do it in front of everyone!!! I had serious concerns about whether any them sorry/rude employees was even gonna inconvience themselves enough to try to notify the owner!!! I know that if my wife left her pocket book in public place, that she would worry herself to death until she knew that it was safe! That'll be last time I darken the doors of that store full of sorry, rude, lazy, and inconsiderate employees!!! My daughter's income tax was posted today, and because she don't have a bank account the monies was posted to my wife's (her Mother's ) Walmart Card. However, Walmart card managers have decided to hold the money for the next TEN days alleging 'something amiss, Despite the faxed evidence they requested and received from us today(1-29-2015). we told them that our child is about to be evicted and she has Two children. The card customer service hung up on my wife TWICE, and hung-up again when she repeatedly asked for a mgr. when Emma Richardson finally called corporate they said "they didn't understand why they're still holding these monies but they cant over-ride the(" greedy insensitive ") card mgrs. I am very upset with the whole savings catcher program, I truly believe it is a genius marketing tool and a great way for Walmart to control what they allow in regards to what consumers can save. First shoppers had the BOGO, which was awesome; however I can understand how that would have cost too much to the bottom line since cashiers were not able to check ever advertisement and consumers would take advantage of it. Fail on the consumers part to remain honest and shame on them for ruining it for the honest ones. So then here comes savings catcher, not quite BOGO since we are only refunded the difference on the price of the two items combined. Ok, well, that doesn't replace the BOGO, but it's something. Adjustment to the savings catcher way - DONE!. Wait for my savings to come back, get my egiftcard but then at the store, have to hold up the line so a CSM can come and put the key in when I redeem my egiftcard.. OK, not the most convenient, but I'll deal with the glares and complaints of the people behind me (normally 8-10 people deep because my Walmart never has enough cashiers) to save a couple of bucks. Over the weeks of using the program, I start noticing that I'm not getting back as much as I think I am. I am an financial analyst, so let’s just say math and budgets are my thing. On my last receipt, I anticipated a refund back on two larger ticket items and several smaller ones. Out of the approximately 8 items that were BOGO at other stores, I received a refund on NONE of those. I got a few cents for a difference in grapes. So, I went through my receipt and indicated the discrepancy via the instructions. I entered in the dates of the advertisement and the competitors name. I waited expecting the difference to show up. I received an email stating that the savings couldn't be found and that I had to submit a picture of the ad in a specific format (not a common format like a .jpeg, .pdf or .bit, but one that I’ve never heard of) to defend the fact that I'm not getting the proper reward. The email didn’t even state WHICH ITEM I needed to submit the documentation for. It’s been weeks since my purchases. I am an environmentally conscious individual, so I don’t normally have the actual paper hard copy advertisements. I normally do my shopping list on my phone. All this PLUS the fact that I don't recognize the format, I do not have the proper documentation to send in and can’t PROVE I am owed the “reward”. CONGRATULATIONS!!! You have now made it so difficult to save those extra dollars that I’m done with this whole insane program. I have to rely on your proper data entry that is obviously not up to date nor accurate, plus I have to PROVE you are missing it... I can understand missing one item, but 8 items?.. that just seems intentional. Walmart now won't "lose" money by giving consumers money back on items that can get be purchased less expensive elsewhere. In return, I will no longer be shopping the deals, will no longer use the savings catcher and will be back to my old way of shopping the deals by going to Winn Dixie and Publix for their advertised BOGO's. I will no longer be doing my weekly shopping at Walmart or dealing with the madness you all have created. You all may have the "best" prices, but you have the worst customer service, the store is filthy, poorly stocked and I honestly feel this whole savings catcher was a calculated move by your marketing people to save face with taking away the BOGO as well as a way for you to control what savings are given. Well done honestly - at least you have a couple of geniuses working for Walmart and they have done their job... they have maximized your profits. Maybe someone should check on the employees doing the data entry for the savings catcher program. Doesn’t seem to me that they are doing their jobs, or maybe they are? Cancelled Service back on Oct. 27, 2014 when my phone broke and I switched to another company and called to transfer my number to new provider and cancel service at that time. But now I am still getting a bill for $92.64 saying I own for two months. I called to find out why and was told that when you call to transfer your number you then have to call a different number to cancel service. This should all be taken care of with just one phone call not two. So please stop billing me for two months of unused airtime. Your stores are depleting fast, that's all I'm going to say. Customer service has ultimately died with Sam Walton. Such a shame, good idea, and it is absolutely dead now. I think now, you have over stepped your bounds, and management everywhere I've been, needs intensive training on service and respect. I ordered a tv on thanksgiving day it was supposed to be in the walmart store in Ash Flat Arkansas on Dec 9th 2015 well before Christmas. Well, it not there yet this is 12/22/2015 and no one know where it at or when we will get it. Talking to people on the phone with customer service is a joke be cause no one speaks ENGLISH. It sure would help if they did we might get this straightened out. We ordered this so we would have it for the CHRISTMAS shows. We saved all year for this tv when it came on sale. Racial Profiling: on November 3, 2015 I went to walmart in Fremont Ca (Albrae location) after shopping I went to register where a cashier name Narcisco, as he started ring up my items he looked @ me and stated I know this will be with your EBT Card right. I was shocked my daughter in-law and I was caught off guard with this statement, I said no he looked at me and stated you are buying a lot of items, I asked him do you ask every one you ring up the same thing he stated no, so I asked why me because I'm black he just said sorta, I told him you know that's wrong he said I'm sorry, you must not be from this area I said why because I took offense.. I just said wow and showed him my money and asked for a manager he said there is none on duty, and said really I'm sorry. I called in a re- fill prescription for my pet. I specifically told the worker that I had a new phone number for the Vet. The next day I go to pick up the prescription it is not ready and no one can find it. I have to wait in two different lines to get some sort of information on what has happened. The worker says she called and the vet said the pet needs a new test. So I asked the worker to call the vet back because I had just got a new test done for the medicine 2 week ago. Her response was why would I call back she already has told me she would not sign off on it. So I am like wow this person will not call the Vet to clear up the problem. so I just left and told them I will go somewhere else. Which I did and got the prescription filled without any problems. Turn out the worker had called the wrong vet and not the number I gave her and if she had recalled when I asked that would have taken care of the problem. Wal-Mart in McDonough, Ga. 30353. I will never go back to that pharmacy. The service was shabby from start to end. 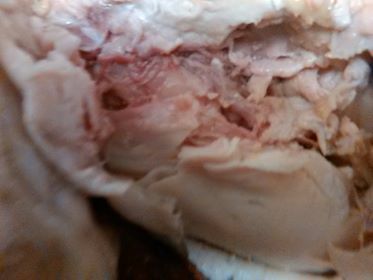 I was in grocery shopping and stopped by the meat dept to pick up a whole cut up chicken like I have done many times in the past. I noticed there wasn't any so I asked the person putting out meat and he said they didn't have any and he never has seen any. I asked him for a manager and I waited 10 minutes he had to call her 2 times just so she can tell me the same thing. But she said wait and she would get me another person in which I waited another 10 minutes and Tyler came up and asked me what I needed and I asked him you mean no one told you the problem and he said no, so I go over it all again so he can tell me the same thing. I asked them to please just go and cut me up one and said they can't do that. So after almost 25 minutes of waiting to get a cut up fryer to no avail, I told him well you wonder why people go to dillions for the groceries and told him thats where i will going in the future. So I left and went to Dillons to puchase my cut up fryer and other items I needed for our dinner.The Walmart I was at was 3030 N Rock Rd Wichita Ks 67226. I ordered a 7inch tablet for a xmas gift picked up at auburn Walmart dec. 19th ,on xmas gave as a gift worked fine for week, than would not hold charge, brought back to Walmart with receipt no box would not do even exchange and also said was over 15 days so could not return anyway. call the Walmart number they said not whole lot they could do either except for me to file complaint, they also said when you order on line I had until jan. 10th to return. Today (December 3rd. 2015) I ordered 2 toys from Walmart.com. My local store was out of one of them so the site suggested a store an hour away that had it in stock. I hurried and paid for it so I could pick it up and have it before Christmas. About 15 minutes later I received a text saying one of the toys was no longer in stock. I called the store and asked how long to get the refund back to my Walmart Money Card. He said it was showing it was refunded already. It is not on my card. He suggested I call the Walmart.com customer service so I did. I talked to a man that I could barely understand that informed me it would take 7 to 10 business days. I said no I can't wait that long. I have a fixed income with 4 children and up to 2 WEEKS is not an option. He said there was nothing further he could do for me. I asked for a supervisor and was put on hold for 2 minutes only for him to come back on the line and tell me the supervisor would not get on the phone. He said the only thing he can do is give me an authorization code for me to call my bank with. The customer representative at the bankcard had no clue what I was asking him to do, saying that wasn't something they did. So now, not only do I not have the toy, I don't have the money. I tried to get on the corporate site for a complaint number that took me right back to Walmart.com. The email is sent to my local store. I am very disappointed and cannot believe there is no way to actually speak to someone at corporate offices. I am a good Walmart customer. I am a general contractor. I wanted to purchase some Bostitch, 18v, cordless impact drivers for the business to try out. I purchase a lot of tools and like Bostitch products. On line you show this impact driver with 2 batteries (same for drill driver). I read the first couple Reviews where they clearly state this tool comes with 2 batteries. I placed my order. It arrives with only one battery per tool. This makes it almost worthless to me. We have to stop work to recharge the battery or use 2 tools to do the job of one. Had I known this was a 1 battery tool I would never have purchased them. Your advertisement is misleading. I am an UNHAPPY customer. You should modify your advertisement for this tool to correctly show only one battery. My wife, my business, and I have not shopped at Walmart since this happened. Saturday, May 23rd, 9;00 ish, Platteville, Walmart.... was shopping and went to the automotive dept to get a gas can since I forgot to bring mine to town and needed lawn mower gas. I got it and couldn't figure out cap pieces as to how they went together. I looked for someone and I looked for someone then went to the auto counter and rang the bell 4 times...NO ONE!! Another couple was there waiting for help who haven't yet been helped either. Finally approx ten minutes later, I dropped the gas can right behind the counter and left so they knew someone was not happy. THEN I had many things to get. In the grocery aisle by the fresh produce, I heard a women explaining to a man why their were no produce bags and she said we are out of them. I looked and their were none so I left without produce. Then up front between the produce and the check out there were 2 men talking and one looked like maybe a manager openly complaining about not having staff etc etc.... what a downer...with the billions of dollars our CEO makes you sure as hell should have staff and you surely should not have unhappy staff complaining in front of your customers. Our Sherman, Tx. store can not seem to keep their shelves stocked. , This has been going on for several months now. They once carried sugar-free orange jello and nursery water with Florida. Haven't seen either in some time. I have talked to workers and mgrs. alike. They take your name, number and never call you back. Other Walmart's in neighboring towns don't seem to have this problem. Getting tired of having to go to other stores to get the things I need. As a result of walmart continuing to side with the L.G.B.T. community and supporting the anti God anti Christian majority we will take our business elsewhere and sell our stock in your pro homosexual perverted gay agenda company! 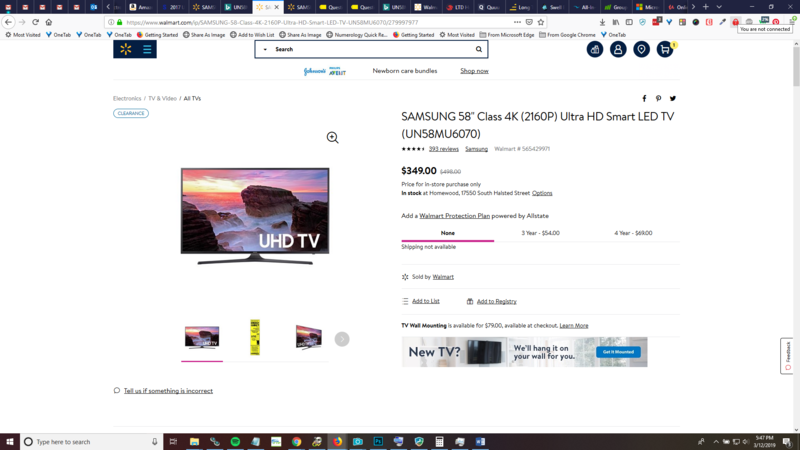 I love the false advertising Walmart does so well, *Near the bottom of the page you will see other heaters for sale and there sale prices, the URL is current. 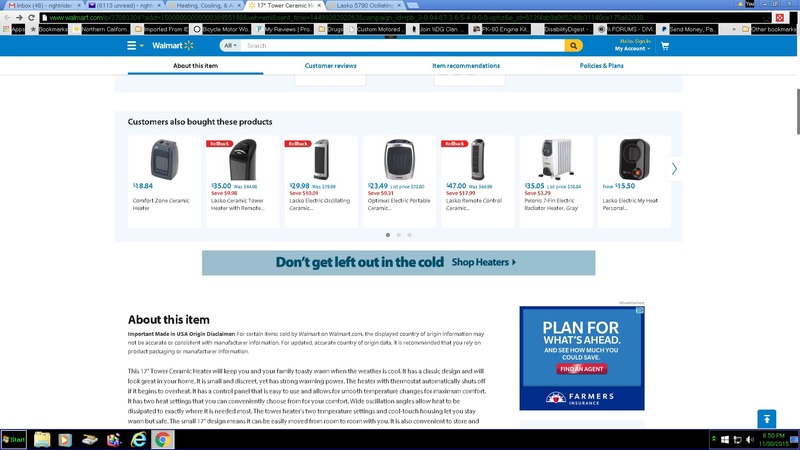 Do you see the Roll Back Price for the Lasko 5790 Oscillating Ceramic Tower Heater with Remote Control Was 44.98 now 35.00. So go click on that advertisement and wow it's on sale from $48.98 List price $59.72 Save $10.73. So what happened to the RollBack of 35.00. Oh yeah that was just to get you in our Doors. I used to live in El Paso Texas. While In El Paso, I discovered a cheese called Mennonite cheese. in 1986 I moved from El Paso to East Texas. 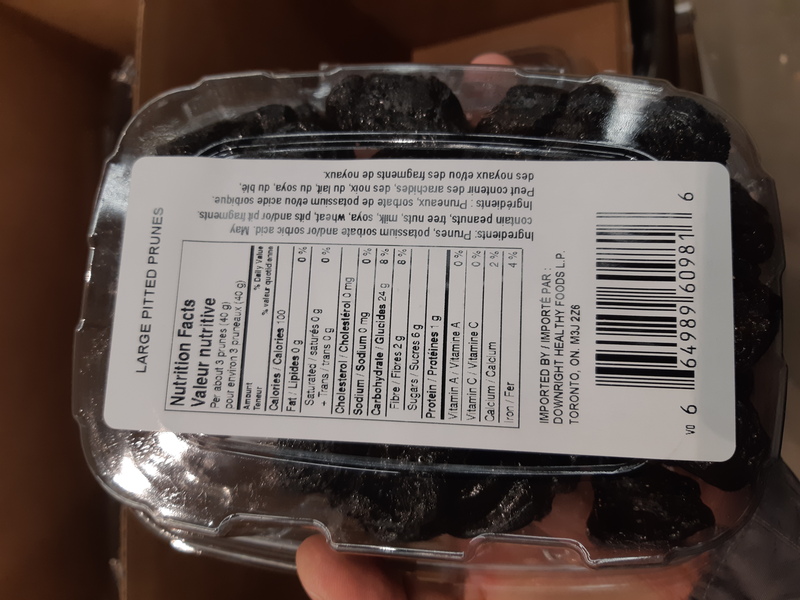 I looked everywhere but could not find Mennonite cheese until a couple of years ago. I discovered Chihuahua quesadilla cheese and realized it was the Mennonite cheese that I had so long search for. yesterday I went to Walmart to restock on my quesadilla cheese but discovered that wal-mart has discontinued it. Why is it that everytime someone find something good at Walmart you eventually discontinue It. it may be something trivial to the people up at corporate office however it was something very important to me. and I am sure that there are a lot of people who are extremely pissed about this matter as I am. I know that the product was a good seller because there was always empty spots of it on the shelf. I don't know what kind of marketing strategy you're idiot and corporate are thinking of but people are getting tired of it and they are shopping elsewhere. You are not the only grocery retailers in the world. I have just about this I did you start doing my shopping elsewhere because to tell you the truth there really is no difference between your prices and your other leaving competitors. since Walmart was the only place that I could find the chihuahua cheese but you don't carry it anymore there's really no reason for me to continue patronizing your business. I would also like to point out that you need to start training employees on social skills. there are some of the most out of touch young kids working for you who know absolutely nothing in customer service. Xenia, Ohio,,,March 28th, 2015. Manager and employees treated my family rude simply because we expected them to honor price. Soda sign read as follows.. $3 or 10. So I purchased 10 cases of soda for $3. Manager did not want to honor it and it took 20 minutes before they rudely did. they proceeded to give us dirty looks (employees and manager)...told other customers in line what happened. Openly saying "THAT IT IS PEOPLE LIKE US THAT TAKE ADVANTAGE OF SITUATIONS." Customers gave my kids dirty looks and shook their heads while the employees looked on in their direction with pleasure. The Shelbyville , TN Walmart continues to allow semi trucks with trailers to park in their parking lot in front of the no truck parking sign. This creates a significant hazard as it is very difficult to see around these large vehicles. I have discussed this with the management on several occasions to no avail. On many occasions I have narrowly avoided being hit by other cars that could not see around these trucks. Does it a take someone getting hit or killed to get Walmart to enforce their own posted rules? They could allow trucks to park at the far left side of the building between the Ascend Credit Union and the outdoor and gardening section of this store where there is minimal traffic. I read on the Newspaper that walmarts were matching Competitors prices and their ads but when customers get to the check out it became a whole different ball game. my thing is this if you say you going to do something Please deliver have a meeting with your cashiers so they are all in the same page because it really makes Walmart look bad when you see cashiers are standing there arguring with customers.I love Walmart and I want you to do better see you. This is in reference to the pharmacy department at this Walmart, my husband and I get all of our prescriptions filled at this Walmart, and in the past month on three of our prescriptions when we call them in and are told they would be ready the next day we go to pick them up and are told they are out of that prescription that the order has not came in, On Monday Feb.15, I called in a prescription for my husband and received a call the same day that they were out of that medicine, but would have it in on Wednesday Feb.17, we waited until Thursday Feb.18 to pick up the prescription and were told then that the medicine still had not came in. so we still have to wait a few more days and go back to Walmart for a second time. This seems to happen at LOT at this Walmart, Whoever is suppose to order all the medicine is not doing there job. Someone needs to check on this matter at this Walmart. Now i don't know if all of this is because of vendors or if walmart tells the vendors what they want but i have a list of products that i have bought from walmart in the bloomsburg and buckhorn, PA. store that i love and bought a lot of and bought frequently and out of nowhere they just stopped selling these products. For example, Jello brand pudding, Boston creme pie flavor, smores flavored rice krispie treats, barbecue flavored goldfish blasted. The list is now up to about 12 products total and i am beginning to think that they watch to see what products i am buying so they can stop selling them just to make me mad. I'm not really thinking that but im not far from it. I love all these products and believe me when i say i bought a lot of them to the point i know they cant tell me they stopped selling them cause they weren't selling good at their store cause i would bet i bought enough myself each week to to ensure they would continue getting them. I'm so dissapointed to the point i am gonna stop shopping at walmart even if it means that my grocery bill would increase 200 dollars a week. Whoever, if anyone reads this thank you for your time and i hope to hear back from you. I see from this site only having only one star this will be useless to file a complaint but here is my story I bought a Fulton at the Corbin Ky Walmart after getting someone to haul the large heavy box to my home and then getting someone to put together the frame they unwrap the mattress only to find a stain all the way down one entire side this did not happen at my home my husband is 68 and I slightly behind him, after a huge job of taking this back to Walmart we were told we had to bring in the complete set all they had to do was change the mattress we would have taken the display one but after waiting 2 hrs a manager said no had to have frame and all, this is the2nd time and last for me at any Walmart store we bought a TV it went bad just about 1 year from date of purchase we paid 348.00 and they would not change it either , your customers has made this company so rich it don't give a d--- about America or its customers I will never buy from any Walmart again no compensation was ever made for the TV and none for the Futon sure hope all \you Walmart owners enjoy your dirty money you make off people your day will come .Never buy at Walmart again. I will never again go into you Walmart store in Springfield Pa. The employees that are in there are the most miserable people I have ever seen. They don't smile, say hello, how are you, nothing comes out of there mouth. I work in retail so I know you are suppose to smile, make eye contact with customers, say hello, how are you, can I help you with anything. Also this store is very messy I have never seen such a messy store. Also all the employees that work in this store seem to have a chip on their shoulder. Yes Walmart will never be seeing me again. I went to the Walmart in Lehigh Acres, Fl on Sunday to get my oil changed. When I got there, all the techs were sitting inside with nothing to do. However, I was refused service because I just changed phones and did not have it with me and did not remember the number. I called two days later to talk to a manager about this and was told I have to give them my phone number to receive service there. I will take my business elsewhere for now on. Very poor customer service! While waiting in the Express Checkout I noticed the customer in front of me had a cart full of various Easter clearance items. 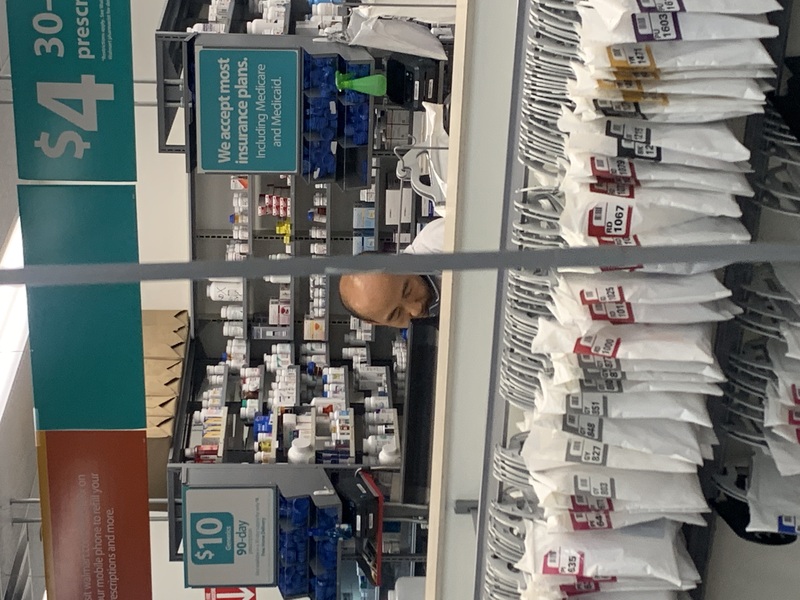 When the cashier did not speak to the customer and ask her to move to another register I asked if I could be rung out first as I had less than the required number of items and the other customer far exceeded the indicated number? While the customer looked at me the cashier (without a name tag) ignored me and began to have a conversation with the customer. I then asked to speak to the store manager. The cashier asked why? Even when I pointed out (again) the cashier failing to honor the Express item numbers the cashier said she is trying to ring up as quickly as possible. I informed the manager the cashier was not following the store policy and I wanted to complain about lack of protocol. While the store manager apologized the cashier never did. Why have Express lanes if your cashiers cannot follow your own company policy, or are to illiterate to read andnenforce policy? This has not been the only time I've observed cashiers failing to honor Express . How often are cashiers trained/retrained? Do they understand English? Why would the cashier not a knowledge my request for faster check out? How often are they trained in customer service and satisfaction? Store #2697 Antioch, California. Op #00004872 Date: 04/19/15 Time: 20:28:31. Was looking online for portable basketball hoops and searched stores near bu but both stores said not able in store. I then ordered online and am currently awaiting the arrival of the hoop. But went to both said stores this weekend and the exact hoop I wanted was available in both stores with many available. To double check before writing a complaint I again went online and they still said not available in store. Very disappointed that we are currently waiting 5 days later for an item to arrive that was available in store all along due to incorrect information online. I bought Kettle Brand Sea Salt and Ground Black Pepper chips at the Wal-Mart in Port Arthur, Texas for a long period of time. Delicious chips that go good with anything. What Happened to them? Can't find them at ANY Wal-Mart in my area. Why does it seem as though when you find those things you simply love and look forward to finding at your stores, it suddenly disappears off the shelf never to be seen again?... Please bring them back, if you haven't tried them you must! They are GREAT! I learned that Walgreen's sells them. its just one more inconvenience I have to go through because you all decided to pull them off the shelf. I recently bought a bag of Marketside premium romaine lettuce mix and it was soaking in water. I couldn't even spin the water off the lettuce in my salad spinner. I will no longer buy Marketside products . I not only wasted my money on the lettuce as it was inedible, but also the salad dressing. It is too inconvenient for me to take a food product back to the store. I have went to WalMart store more than twice and received the worse service ever, and I have made complaints to the store manager on duty every time, and his answer is always an excuse. Then have the rudeness to treat me as if I am nothing or nobody, when I spend thousands of dollars at WalMart. The receipt reads at the top ST# 0451 OP# 00005797 TE# 10 TR# 06245, in this transaction the clerk double charged me and I called the store and the man listened to me then he said oh let me transfer me to customer service and the phone just rang. The night before the night customer service manager Mike had no register open then he said he would come to the self check out to assist myself, mom & sister, but never came the clerk at the self check out told us she didn't know how to price check the items we had. It was just a terrible experience. We spend so much money at WalMart to be treat piss more by your staff at this store. And this Mike night customer service manager is very rude along with this Christine customer service manager. I have been in customer service for years and know how to treat customers, and it is oblivious these two individual do not have the skills to wear such a badge that recognize them as customer service manager. I am thinking very serious about taking my family business and money to Target. This store has struck my last nerve. Once a very happy WalMart shopper, Sheena Waggoner. Re: Mattoon, IL Walmart. I have a few medical problems and don't always know when I will go to the store. I only go every three to four weeks and buy for the month. My husband has a sugar problem and only eats the sour dough bread from Walmart bakery. At the Walmart in Mattoon, IL and older employee was watching me when I was getting the sour dough bread. She came up to me and asked why I was buying so much sourdough and told me I should leave some on the shelf for other customers . I ask her if Walmart was in business to sell groceries..she said yes..and I said , Well I am a paying customer buying groceries and I haven't seen a sign saying I am limited in the amount that I buy. She gave up and left me alone. Cosmetics manager also in Walmart, Mattoon, IL. Since I only go to Walmart once or twice a month I have a list to stock up on what I am low on or out of. For three months I have been trying to purchase cover girl foundation and for three months the display has been covered in makeup. It is smeared all over. This month I found someone stocking shelves in the shampoo isle so I stopped and asked nicely if there was a shortage of staff because the makeup section needed some attention. The woman informed me help had been cut back and she was the only one handling a large area. I told her about the mess and inquired about being out of this paticular item for three months. She said you couldn't get the makeup off of those displays and she didn't have time to get to everything. She was also the manager of that area. Just out of curiousity I went back to the makeup section and took a piece of paper and wiped off some of the makeup from the display. It does come off. On Jan.8th there was suppose to be the movie *House at the end of the street* dvd & blue-ray put out for sale in their new release section,but to my dismay they didn't put it out even though I really wanted to get this movie. Some how the release of this movie was changed by someone high up & isn't gonna be released until Jan.15th,which to me is Illegal because they have it advertised for release on Jan.8th. So,since Tuesday I have been hounding my store to get that movie put out on shelves because I believe that they are obligated to honour the first release date for any new releases and if they don't,then they are truelly falsely advertising products in their store and they should be held accountable.